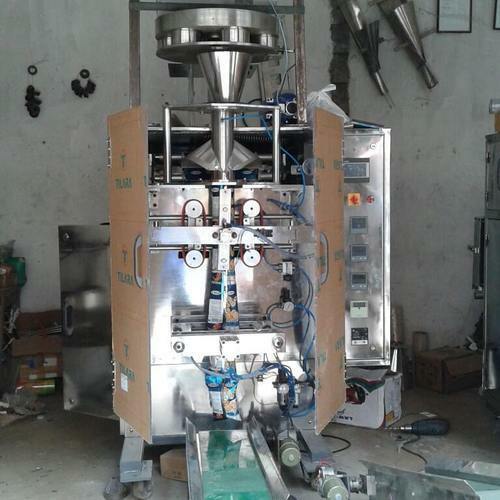 Usage: Animal Feed Packing Machine This machine is widely used to pack granular materials, such as rice,grains, sugar, coffee, salt, MSG, flavouring, sunflower seeds, nuts, tea, herbs, peanuts, beans, etc. This machine can finish these work automatically: measuring--making bag--coding (option)--filling--gas injection(option)--sealing--counting. PLC control system, photoelectric tracking. Has fault display system, easy to operate and maintain. Make punching blade after customer's special request. Full stainless steel or carbon steel machine for choice.